The official Visit Malaysia 2020 logo was revealed by Datuk Seri Nazri Aziz in Thailand and the feedback from fellow Malaysians were rather, well, ruthless. He has also stated that he would rather trust his staff than the locals, as the logo is meant for tourists and not Malaysians. The Visit Malaysia 2020 wordings are all out of alignment. None of them are pleasing to read and it looks like a complete mess. Copywriting is non-existent in the logo. The 2nd ‘A’ and ‘S’ in ‘Malaysia’ is smaller than the other ‘A’s and looks out of place. The ‘I’s in ‘Visit’ seem one font size bigger than the rest and again, is out of place. The ‘2020’ just looks horrid. If this is a way to attract tourist and the younger crowd, they need someone to tell them that they are doing it wrong. It was stated that the animals were included to ensure other countries do not claim them as their own tourism symbols. There was one Malaysian who stated that one of the towers is faded because of the annual haze in KL and that definitely made me chuckled. The faded pink, green and red looks childish in a way and doesn’t seem professional enough to be an official logo that is supposed to bring up tourism in Malaysia. 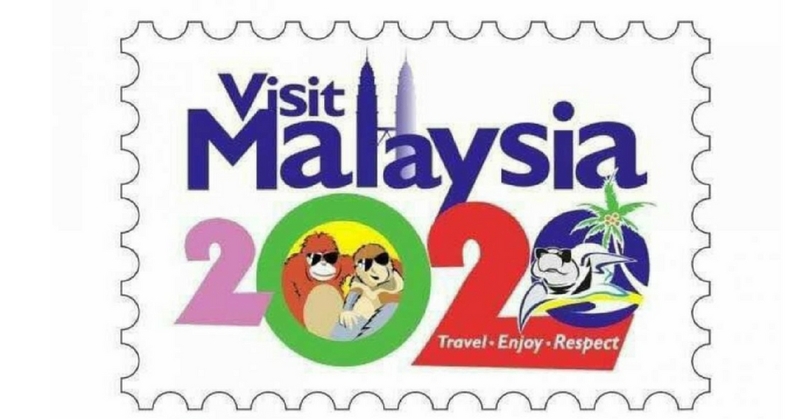 With the backlash from Malaysians, some have taken it to their own hands to design their own rendition of the Visit Malaysia 2020 logo – and we have to say, they look amazing! The Berjaya Times Square massive screen was recently hacked and the hackers had some fun with it – using Paint and the Visit Malaysia 2020 logo as tools for the ultimate Malaysian prank. The logo is aimed on bringing in about 36 million tourists to Malaysia and we can only hope that the logo won’t change the minds of tourist. What are your thoughts on the logo?